Inspired by the hard work and dedication of Olivia Hood, an SIU student and member of the Leadership Development Program, Scott Moller ’85 has decided to donate $2,500 to the Saluki Food Pantry. 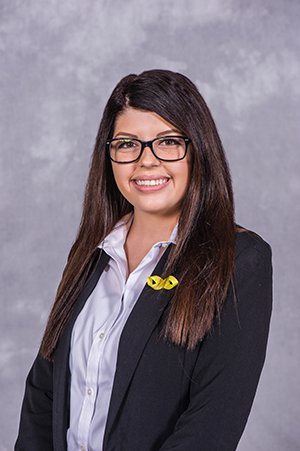 Moller, a member of the SIU Alumni Association and SIU Foundation boards, made the gift after meeting Hood and witnessing her fundraising work with campus RSOs. He said he hopes the gift will spur others to do the same. The Saluki Food Pantry is located on the Lower Level of the Student Center and is open from 10 a.m. to 1 p.m. on Mondays and 1 to 4 p.m. on Thursdays. Any student with a valid student ID can access the pantry’s resources. To learn more, visit www.studentcenter.siu.edu/services/saluki-food-pantry.php. Shane Brady graduated from SIU in May 2017, taking with him a bachelor’s and master’s in outdoor recreation resource management. He left behind much more. Brady, a U.S. Army veteran who served a 14-month tour in Iraq and a 12-month tour in Afghanistan, came to SIU in 2013. In the spring of 2015, he started working as a graduate assistant at Touch of Nature Environmental Center. While there, Brady spearheaded the creation of the Veteran Adventures program. 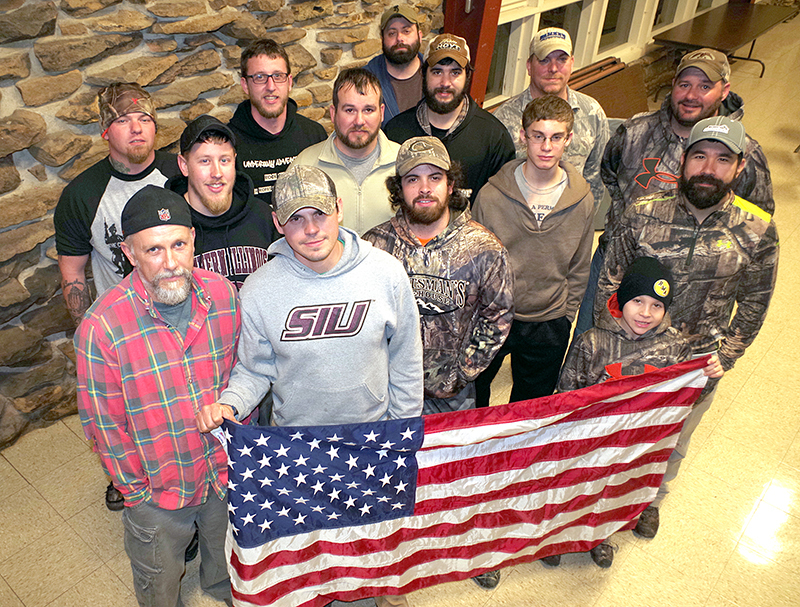 Offering outdoor activities to post-9/11 veterans, the program has become a huge success. The program includes a number of activities, most of which take place near SIU. There are pheasant and deer hunts, hikes, backpacking trips and recently a whitewater rafting excursion in Tennessee. Early on, most of the funding for the program came from community-level fundraising. This included profit-sharing promotions at local businesses. In September, Touch of Nature received a $30,000 grant to fund the hiring of a graduate assistant to run the program. Most of the trips include 10 to 12 veterans, but Tanner said he hopes to expand the program to larger groups, more trips and a wider array of activities. Tanner and Brady are both hopeful that the importance of both Touch of Nature and the Veteran Adventures program won’t go unnoticed during the Forever SIU campaign and upcoming Day of Giving on March 7. The next Veteran Adventures event is a backpacking trip along Southern Illinois’ River to River Trail. It begins March 10 and is free of charge. To register or learn more, visit http://ton.siu.edu/program-areas/veteran-adventures/trips/. For more information about the Forever SIU campaign, visit www.foreversiu.org. To make a gift benefiting the SIU Day of Giving, visit siuday.siu.edu. 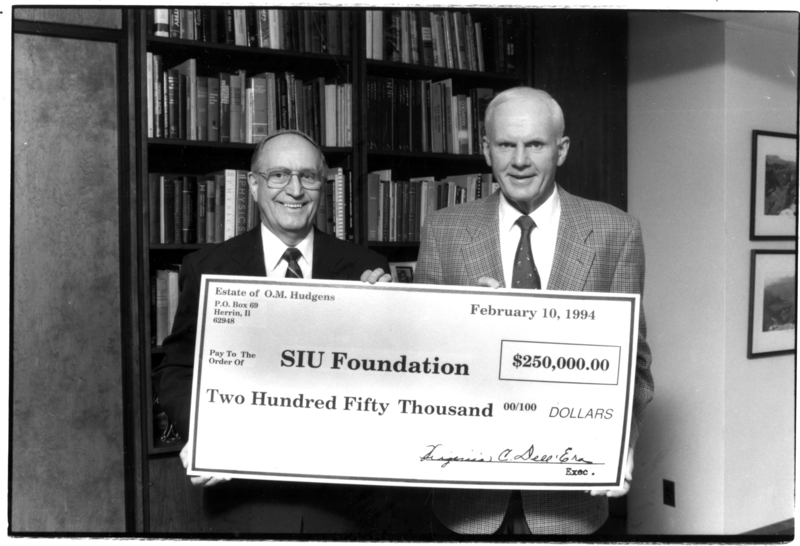 The SIU Foundation has been a cornerstone of SIU for more than half of the university’s existence. For 75 years, the foundation has played a vital role in SIU’s expansion and development. Students, faculty, staff and the community have benefited from its philanthropic mission. Starting with a $10 gift in 1942, the foundation has evolved in the way it serves the university. From land acquisition to endowments to rare book collections and beyond, the goal has always been the same: Help keep SIU moving forward. In the early going, the foundation collected relatively few monetary donations. It wasn’t until the 1950s that the foundation cemented itself as the driving force behind the university’s fundraising efforts. “The warmth generated by good ideas from good people for good causes quickly melts away all barriers and leads to inevitable success,” said SIU President Delyte Morris on March 12, 1960, the date of the university’s first Foundation Day. During Morris’ tenure (1948-70), the university saw unparalleled expansion in terms of enrollment and physical presence. SIU grew from a teachers’ college serving a few thousand students to a three-campus system with tens of thousands of students. The foundation’s impact also expanded during this time of prosperity. As new buildings popped up around the Carbondale campus, the foundation played a role in establishing the Edwardsville campus and the School of Medicine in Springfield. Meanwhile, the foundation increased the value of its assets. The SIU Foundation currently supports the Carbondale campus and the School of Medicine. SIU Edwardsville has its own, separate foundation. By 1967, the foundation’s assets were valued at more than $3 million. In 1971, the foundation gained more than $1 million in a single year. In 1974, the foundation began the Living Endowment campaign, which was the university’s first long-term fundraising event. It proved to be a success, raising more than $2 million in monetary and other gifts. 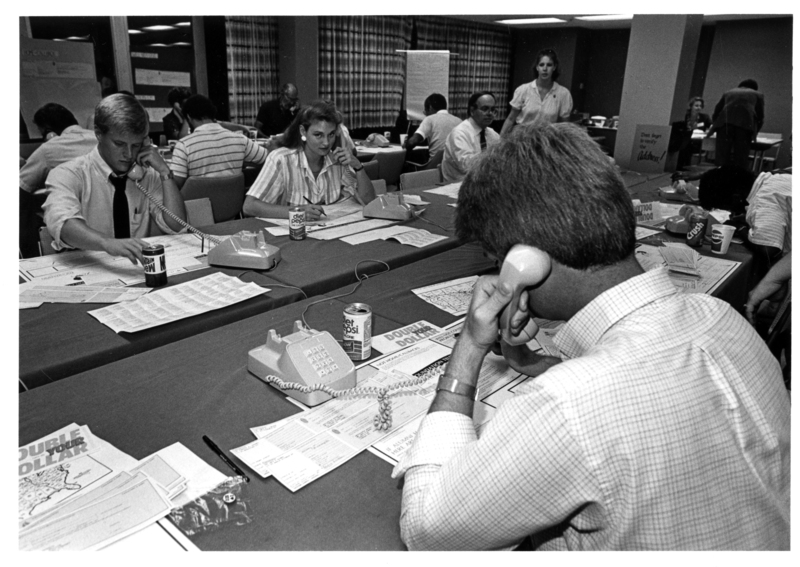 In 1989, the foundation helped the College of Business and Administration raise $4 million during a yearlong campaign. The efficacy of the foundation has allowed the numbers to rise continually – which, in turn, has led to expanded influence on campus. In 2016, the foundation awarded 1,565 students more than $2.8 million in scholarship money. More than $2.3 million was earmarked for university and community programs. Nearly $2 million was designated for academic and research support. On March 1, 2017, the foundation hosted the inaugural SIU Day of Giving. It was the university’s first 24-hour online fundraising campaign. After receiving 1,334 gifts totaling $341,121, excitement already is building for 2018’s Day of Giving, scheduled for March 7. From the beginning, SIU has been a place of opportunity. It has been a place to learn, teach, grow and enrich. For the past 75 years, the SIU Foundation has led the charge. This spring, the foundation continued that mission by announcing “Forever SIU: The Campaign for Students.” Over a three-year period, the campaign aims to bring at least $75 million to the students of SIU Carbondale. Campaign co-chairs Dan Korte ’85 and Camelle Logan ’89 have announced that the campaign already has raised $33 million toward that goal. Donors may give to any number of worthy causes, ranging from scholarships to particular projects, and to colleges or other departments. For more information, visit www.foreversiu.org.